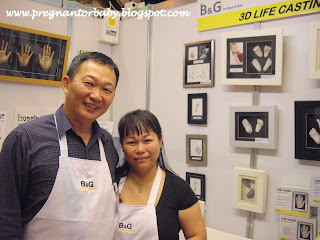 At B&G we create your memories for you. 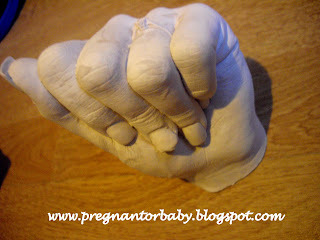 Be it your newborn's tiny hands and feet, a hand sculpture of you holding your baby's little hand, you and your partner's hands entwined lovingly together in an embrace, or a family "portrait" of all your hands joined together, each of our casting is created with such loving detail you can almost feel yourself back at the very moment it was made. Display them on your coffee table, by the fireplace, along the stairs, by the window, or on your office desk. Just looking at them will bring a smile to your face and brighten your day. I am so so happy with my hand casting, I think it makes such an amazing keepsake to mark our engagement and also something a bit different to what other people have. The detailing in the casting is absolutely fantastic even down to the detailing in the sides of my engagement ring. 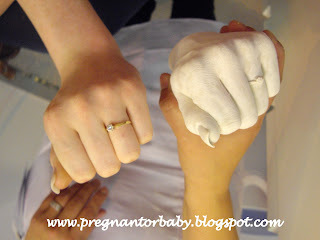 I was expecting my hand to be a bit mucky after being placed in the mould but as you can see from the video I was amazed.. I didn't even have any mess in my nails and my hands smelt minty!! Prices and kits vary but you can view them Here.